Kate Spade and suicide—three words I never imagined would belong in the same sentence. I was shocked and stunned when I got the news yesterday morning from my bestfriend Tasha via text. I know that mental illness is no respecter of persons. You can’t escape it by being privileged or successful—two things Kate possessed in spades both literally and figuratively. 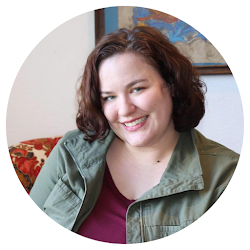 This woman—who by worldly standards “had it all” along with assumed access to the best mental health resources available—still reached a point where she saw no way out. Death became a better alternative to life. Somehow it feels harder to understand why someone dies from suicide when they present no visible trauma or hardship to the outside world. But unless you’ve experienced it yourself, you have no idea the torment a brain can inflict on its host. At age 15 on my first trip to New York, my one regret was not finding a Kate Spade knockoff handbag. Turns out my grandma and I didn’t go to the right part of town. My 20s were filled with aspirations to own a Kate Spade handbag and any other products I could get my hands on. The New York Times characterized buying a Kate Spade handbag as a "coming-of-age ritual for a generation of American women", and I'd have to agree. I bought my first (and so far only) Kate Spade handbag (on sale mind you) after finishing my first quarter of grad school at the age of 25. For me, it was the ultimate “treat yourself” gesture. I still remember traipsing along the streets of downtown Chicago feeling like I’d arrived. Owning a Kate Spade handbag was a sure sign that I was a real, grown-up adult. I spent the last decade regularly combing the aisles of my local TJ Maxx and Marshall’s hoping to discover discounted Kate Spade wares. Even the designs I didn’t find very appealing I wanted. I was mesmerized by her brand. For me, Kate Spade was synonymous with joy, sophistication, and poise. Her products made me feel cheeky and a lady all at the same time. I always found her crafty weaving of words into her products captivating. My sister gave me a Kate Spade iPhone case once and paid extra to have it gift wrapped. Fiver years later, I no longer have the phone case thanks to technology upgrades but you better believe I still own the gorgeous turquoise and Kelly green box trimmed in gold that it came in. It sits regally on my office shelves holding my many $1 packets of cards and stationary from Target. When I met my friend Irish at grad school orientation we soon bonded over our shared love of all things Kate Spade. A former fashion writer in Dubai, unlike me, she actually owned several handbags, pieces of jewelry, and even dresses. In fact, it was Irish who gave me first piece of Kate Spade jewelry—a pair of earrings I treasured and wore regularly until the fateful day one went missing and was never recovered. Texting back and forth with her about this tragic loss was surreal. 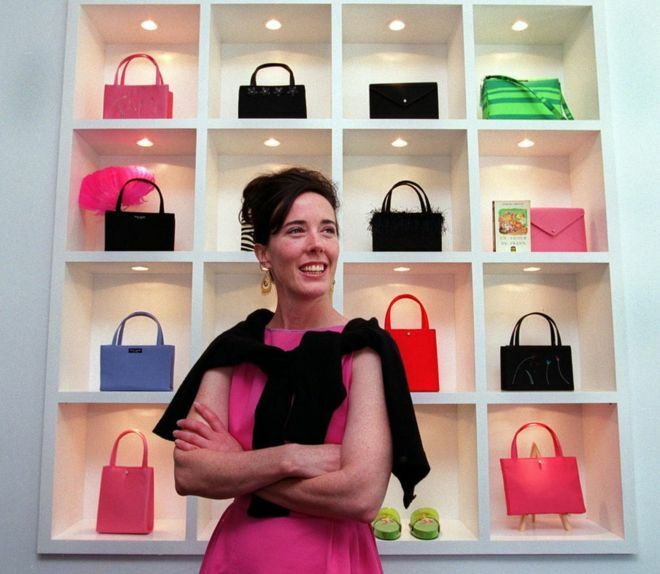 Kate Spade’s untimely death is a provoking reminder that mental illness is real; suicide risk is real; and we never truly know the burden an individual could be carrying alone. Beautiful piece of work, Rissy. Love you so much.